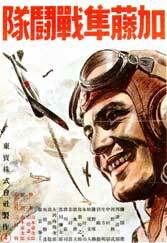 One of the best resources for a close look at the various mottle patterns as applied to Japanese Army aircraft is the 1944 Toho film 'Kato Hayabusa Sentotai' ("The Kato Peregrine Falcon Fighter Unit') directed by Kijiro Yamamoto, which tells the story of the charismatic 64th Sentai leader Tateo Kato using real aircraft from the Akeno Flying School. 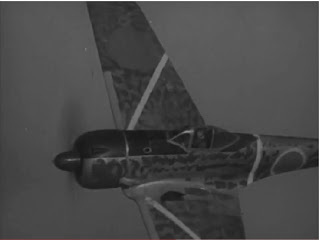 Whilst the use of some Ki-43-II aircraft - and their camouflage - is anachronistic for the time period depicted by the film it nevertheless provides an exceptionally useful reference for "typical" mid-war camouflage patterns, not least because the aircraft are seen "in the round" rather than in the single "flat" image of a photograph. 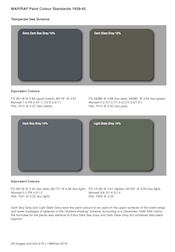 The film quality is also of a very high standard, allowing details to be clearly seen and studied. In these views of the aircraft painted to represent Kato's aircraft the mottle application on the fuselage is distinct and different from the more densely applied coverage on the wing upper surfaces. The yellow wing IFF stripes on the aircraft are also anachronistic, not being introduced until September 1942 (Kato was killed in May 1942), but still appear surprisingly often on art and models depicting Kato's Ki-43-I Hayabusa. 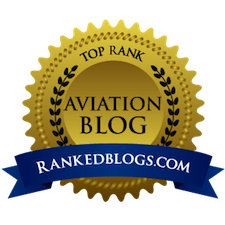 Notice the way that the mottle thins out to nothing on the fuselage spine and its appearance at the wing roots where it terminates abruptly at panel lines. Also apparent is the near pristine condition of the anti-glare panel and the "silver" band where the fuselage recesses behind the cowling. This particular aircraft is also carrying a wing-mounted gun camera. When was the last time you saw that on a Hayabusa model? 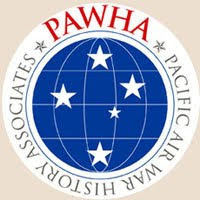 Here is the opposite side view of the same aircraft for comparison. Note the way that the mottle does not extend onto the cowling ring. As the aircraft banks towards the camera the pattern on the wings can be seen. The "silver" band behind the cowling is again very apparent as is the glossy lustre of the spinner (probably not matt brick red). 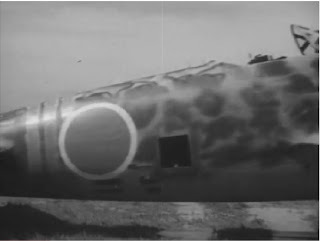 Here the close-up image of an earlier Ki-43-I reveals evidence of an overall colour applied beneath the mottle. 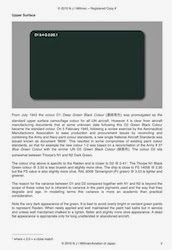 Its colour is speculative but could be grey or brown as there is hard evidence for both. Is the canopy frame painted to match the mottle or the anti-glare panel? An intriguing question. On the Ki-43-II the canopy frame appears to be natural metal finish so there is no standard being applied here (delivery photos also show the Ki-43-I with a natural metal finish canopy frame). The light coloured rubber eyepiece of the telescopic gunsight shows up well. 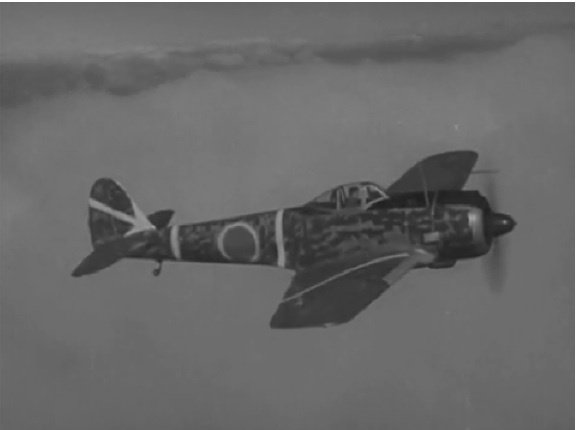 In this sequence of a 12th Sentai Ki-21 trundling out we get a good view of the mottle application to the tail and the very worn condition of the tail stripe markings. The "tail stinger" gun is also apparent. 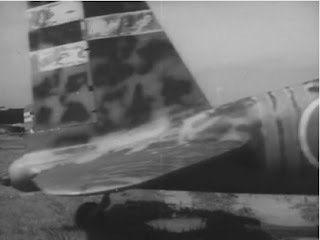 The camouflage pattern on the starboard elevator becomes solid to the centre rear and also appears to be a different colour, suggesting perhaps a repair. 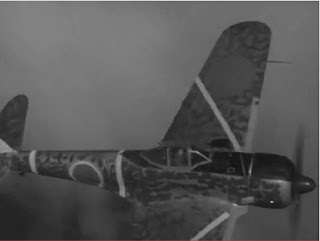 On top of the Ki-21 fuselage thin, sprayed "smoke rings" provide a sharp contrast to the heavily applied blotches on the sides. Added later perhaps? 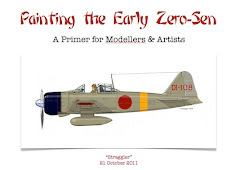 On a model this might look odd and tempt the modeller to apply a more consistent pattern overall. Note the formation stripes which the Hinomaru has been partially applied over. 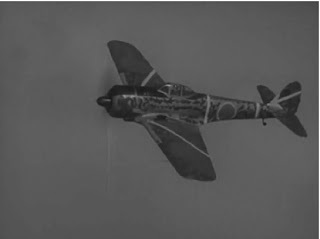 As an interesting aside the film includes air-to-air footage of genuine captured Curtiss P-40 and Brewster Buffalo aircraft but in the lengthy scene showing air combat over Rangoon Akeno Ki-44 aircraft marked with roundels stand in for the Buffalos in distant dogfight shots, their distinctive planform being one of the curiosities to look out for. I can only speculate that the film was made this way to serve a logistical convenience for the dogfighting sequences around the bombers. 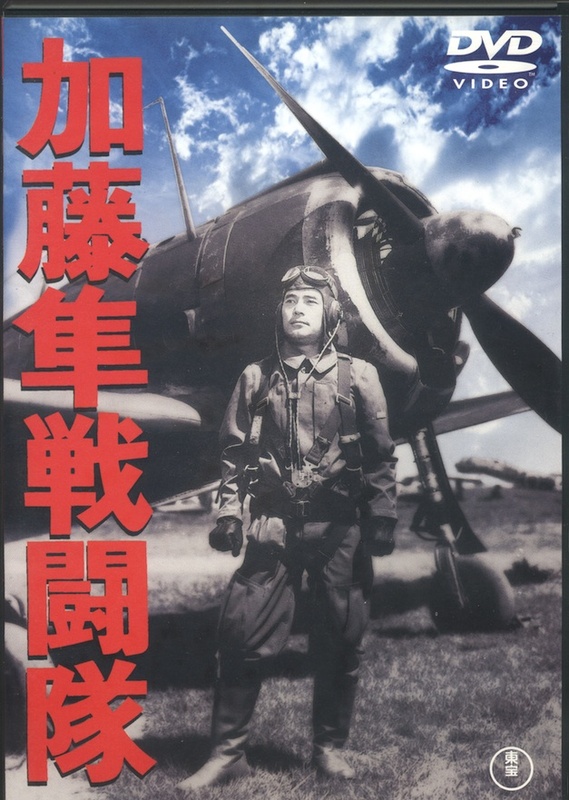 'Kato Hayabusa Sentotai' is still available to buy in Region 2 DVD format from YesAsia (who can be recommended as an efficient and reliable source for other vintage Japanese films too) slightly reduced from the listed price of ¥4,500. There is much of interest for Japanese aviation enthusiasts in the film, including a memorable scene where Kato lands in and climbs from a Ki-27, extensive air-to-air footage of Hayabusa and Ki-21 aircraft, a paratroop sequence with embarkation, dropping and consolidation (meant to be Palembang but probably an exercise) and even a captured Hudson. Image credits: All © 1944 Toho Co. Ltd. Thanks for the screen captures and details on obtaining a copy of the DVD. Thanks so much for pointing out this interesting movie for us. 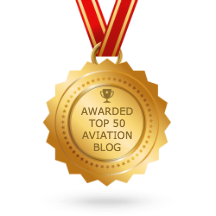 I am glad to hear that it can be ordered without major hassles. 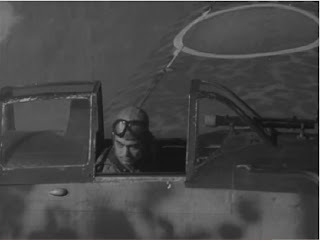 This reminds me of the old Aircam book on the Ki.43 - I believe it had some stills from this film, worth pulling out again in the light of this post. But I don't recall seeing any of these before. Some time ago I was able to watch this whole film on Youtube with French subtitles. 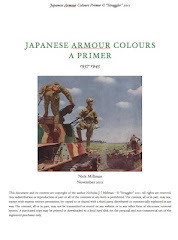 Very intriguing and worthwhile, with some great scenes depicting life on an IJAAF airfield as well as lots of very interesting and useful aircraft detail. It's still there for anyone interested.